We had a bit of a scare this morning. It started around 4:00am. The hard cough. The phlegm. The obstruction in his lungs and throat. The inability to breathe rationally. Graphic I know but terrifying for an hour. My mom is amazing. Helping him with the suction. Calming him. Soothing him. Bernie with the ability to give helpful suggestions in a calming way. And me sitting back not knowing what to do except pray. I prayed, "God, in the name of Jesus clear his throat. Give relief for a moment, in the name of Jesus." As I was finishing my last words of that prayer the garbage came up and there was relief. His breathing calm. Now we try to rest. 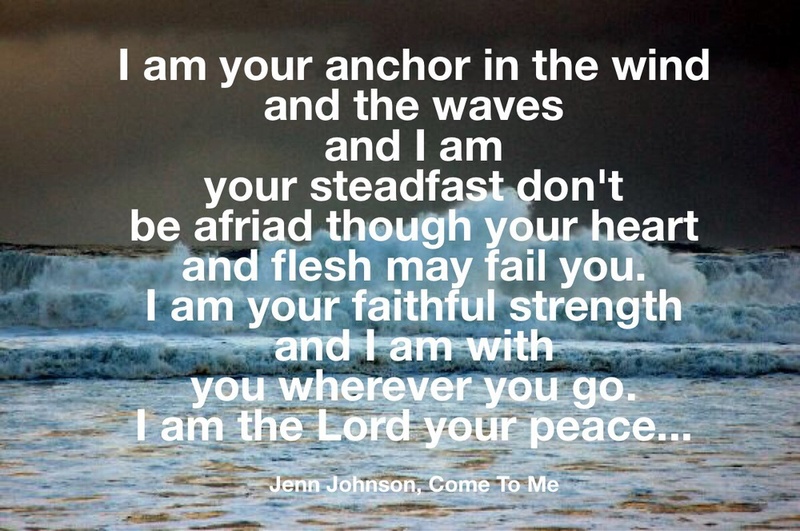 Thank you Marty for your words of encouragement and for reminding me of the song Come to Me by Jenn Johnson. I've heard it many of times before. It's in my "worship" playlist. So powerful! Yesterday Melissa asked if I could put text on a picture for her. She wanted to post it to Doug's Facebook wall. It was a verse to this song. God you are so good to us. This is the hardest experience our family has ever faced. It's not right. A parent should not have to lose a child. A wife, her husband. A sister, her brother. God's ways are not our ways. It's figuring out how to deal with the loss. I pray that our faith will be strengthened. That God will show up and walk us through the valley. So we wait on the Lord and our prayer is still peace. It's amazing how everything has changed so drastically in just a few weeks. I sit here and watch. I am disturbed. Sickened. Heart broken. This disease is debilitating, life changing and life taking. I heard him say today that the glass of water sitting by his bed looked so good. He wondered why he couldn't drink and swallow anymore. Think about it...swallow. How easy was that? This is the hardest thing I have ever had to deal with. I'm trying to keep it together. I don't want to add any concern to his heart. But wow...this is stretching me. I love this boy so much! I know he belongs to Jesus. I don't want him to suffer with this excruciating pain but I'm also not ready for God's plan to come to fruition. We pray for peace. John's reminder that Jesus is our thirst quencher. Tonight it's my honor to take care of my little brother. He wants someone to stay with him all the time. He is comforted to know when he cries out in the night someone will be there to take care of his needs. He sleeps. So much pain. So fragile. So skinny. Every movement, an extreme amount of effort. I don't want to fall asleep because I want to watch him sleep. Hear him breathe. This week I have been learning not to take life for granted. We aren't guaranteed tomorrow. Life is precious. A gift. We have no other choice but to trust God and have faith. He knows and we believe because He is God. But that doesn't make it hurt any less. I heard Ellen Degeneres tell someone, "When your heart is broken, when your heart has cracks in it, it lets the light in, it lets the sun in." I want to be strong. I want the light of His glory to shine through the cracks and brokenness. I want to be at peace that God has plans for Doug that are different than my plans. God, I pray for peace. I pray for a heart that will be soft and pliable. That your love for me will heal the cracks and brokenness. Your hand will guide me. Your spirit will fill me. I opened Facebook this morning and my friend, Wendy had posted a picture of this verse from Isaiah as encouragement. With everything that has been going on in our life, there are days when I feel the waters are at flood stage. The water is up around my ears, it gets harder and harder to breathe, panic sets in and soon you have lost control. Even though I have these feelings, I am reminded in God's word, that He promises that He will be with me and I will not drown.